Is your PC/Laptop running slow ? Are you tired of Bad Softwares? Want to clean up your registry errors? Then stop looking further because Piriform’s Ccleaner is the best tool that cleans up your system so fast that you won’t believe your eyes. 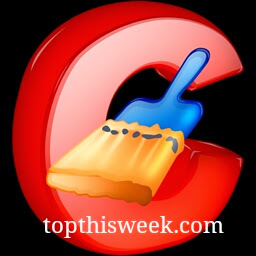 With Ccleaner cleaning system just by clicking “Run Cleaner” button you can remove all the extra stuff like cache memory or obsolete software etc etc. One click and it does all including your browser history too. With registry cleaning options you can clean up all the bad registry that are slowing your PC/Laptop. The best thing is that if you need to maintain backup of registry then you can do it with Ccleaner. The other best thing about Ccleaner is that it can stop program at start-up that loads and slows down your PC/Laptop startup. You can disable the initial startup or you can also remove them completely. With add and remove programs you change or uninstall any software from your PC/Laptop. Ccleaner can also have function to do cleaning at your PC start up and you can setup it from options of it. It’s simple interface make it easier for user to use it and it gives you information about Laptop or PC specs.With such a hot features at single software and continuous upgrades make it the best PC/Laptop boosting software. I am personally using this software and truly happy with it’s performance. I recommend it to others too.